Nope, not even I can resist it. 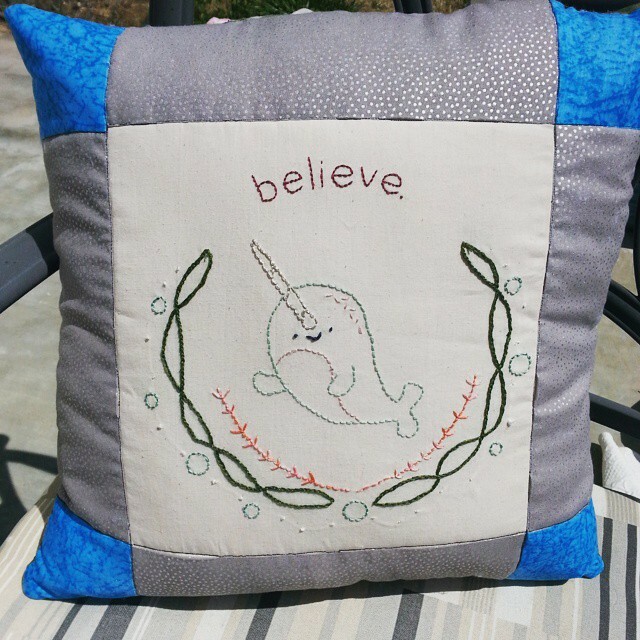 When I got the pattern, I knew I wanted to make it for my girls and make into a pillow. I made the pattern a little bigger than the original (maybe 125%? I didn’t really look, I just wanted the design to be about 8.5″.) and set off. 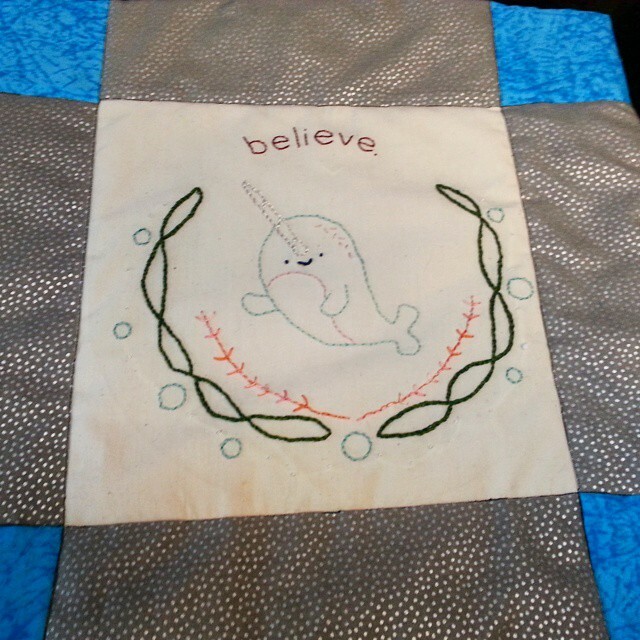 Mollie is really great about her color choices, but I did add something to just about everything — except the narwhal itself. For the seaweed, I took three strands of 469 and 520. I’m sort of obsessed with the look of blended colors (ahem, like the Arrow cross-stitch), so it was the way to go. Also, with the coral above the seaweed, I used three strands of 4110 (a pink variegated color) and a single strand of 720. And finally, with the bubbles, I added a strand of metallic aqua thread to the three strands of 504 to give it that magical look. The embroidery was a breeze. I love Mollie’s patterns because they’re fun and whimsical. Then, it was onto the quilting part. Now I haven’t quilted in years. It sort of drives me crazy because I want every seam to match perfectly and that doesn’t happen very often. At all. But I got it to work and then, some ladder stitching, and voila! I was done before I knew it! 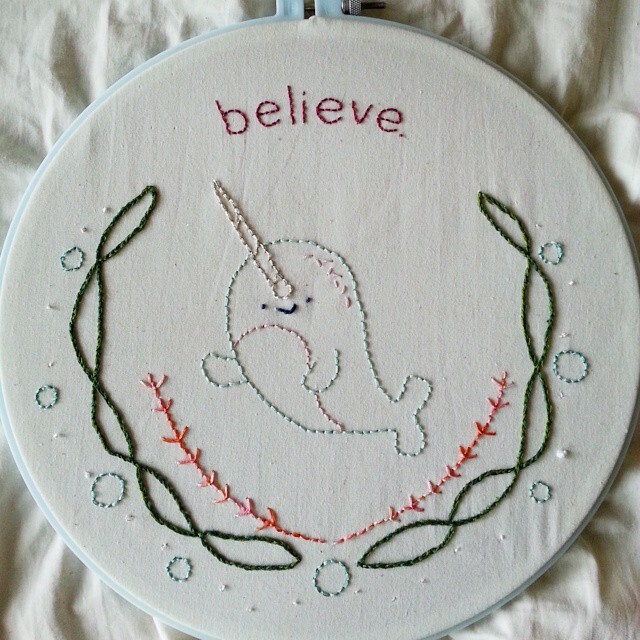 So, if you’re looking for a super cute, quick, fun project, I suggest you don’t ignore the call of the narwhal.